Increases in populations of the two native higher plants that exist in the Antarctic have been thought to be caused by an improvement in their reproductive performance as a result of regional warming. Colobanthus quitensis dispersion by seeds and establishment are limited to years with sufficiently high summer temperatures. The main objective of this work was to evaluate the effect of increased growth temperature on the germination ability of C. quitensis. Individuals were collected from King George Island and grown at two different thermoperiods: 5/2 and 11/5 °C, day/night. Mature seeds produced under both growth temperatures were tested for viability and incubated under a range of temperatures from 5° to 35 °C. Seed viability was not significantly different between growth temperatures. Germination for C. quitensis was highly temperature dependent. Germination was modulated by temperatures over 10 °C. Seeds from 5/2 °C showed significant higher germination (>80 %) between 10 and 15 °C. Seed developed at 11/5 °C showed a broader range of temperature for germination between 10 and 25 °C. Higher growth temperature (11/5 °C) reduced the germination time significantly. Our results suggest that annual production of seeds leads to a high probability of germination at warmer environmental conditions because dormancy would be reduced at higher temperatures. Therefore, higher environmental temperatures, as those predicted to occur because of global warming, would increase the propagation of C. quitensis by germination. 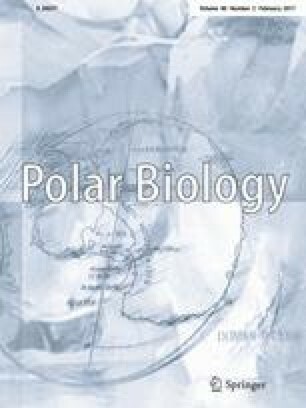 The authors thank Projects CONICYT-PIA ART 1102 and Fondecyt 11130332, for funding our field and laboratory work and Instituto Antártico Chileno (INACH) for logistic support in Antarctica and the necessary permits to enter and collect plants in SPA 128.